The Elder Scrolls is a series that has become synonymous for many with open world RPGs, but how did the franchise get there? There’s lots of games in the series; some you might not have heard of, so here’s the History of the Elder Scrolls Series – have you played them all? Arena started off as an arena combat game but soon blossomed out into a continent-spanning RPG where you are tasked with freeing the emperor Uriel Septim VII from the clutches of evil the Imperial Battlemage, Jagar Tharn. It’s obviously a much more basic simulation than the later games, but it’s surprising just how much of the Elder Scrolls DNA is present even this early on. You start in a dungeon, you’re free to go about your quest much as you please, but unlike later entries it is very unforgiving to the new player, as the starting dungeon is particularly hard to conquer. The Arena in the title refers to the land of Tamriel itself, that it is the arena in which you must prove yourself. The game is now currently free on Bethesda’s site, so if you haven’t checked it out, GO NOW! The game that did procedural generation before it was popular, Daggerfall let you go wild in the Iliac Bay, you could join a load of guilds, knightly orders, insinuate yourself into local politics, or just go for long wanders in the wide empty expanses of the Alik’r Desert. Much more than Arena, Daggerfall felt like a ‘world’, you had towns that you could wander round and houses to buy, people to chat to and so much more. You could really feel a part of something bigger. Players are sent to this land by the emperor to put the shade of the previous Daggerfall king, Lysandus to rest. However you end up caught up in a race to find the mythical Numidium – a magical golem that could decide the fate of all Tamriel. One of the most notable things about Daggerfall was that the endings were so diverse, depending on who you gave control over the Numidium to. So diverse in fact that future installments in the Elder Scrolls series state that a ‘Dragon Break’ or ‘Warp in the West’ occurred, meaning that all endings happened at once, setting up the geopolitical landscape of future games. Daggerfall is also free right now, so check it out! The first side game appears! Set in the Battlespire, a magical fortress where Battlemages are trained, you ascend its labyrinthine corridors to put an end to the demonic threat that’s taken it over. It’s again a first person RPG like the previous entries, but it’s a more of a focused experience and much more a dungeon crawler than a large scale open world RPG. It’s an absolutely incredibly rock hard dungeon crawler, and few have reached the top of the fortress to cast out Mehrunes Dagon and take back control over the Battlespire! Battlespire is also of note for being the game that introduced the Bat’leth-like crescent blade that became a firm favourite! Taking place on the small island of Stros M’kai, Redguard is a completely different kind of game to any that preceded it in the Elder Scrolls series. It’s a third person action adventure puzzle game! You don’t choose your character, instead you’re cast as the titular Redguard, Cyrus, and you’re on the island for to find your missing sister, meaning this is a much more personal kind of quest compared to previous Elder Scrolls outings. Redguard offers a much smaller look at the world of Tamriel, and by keeping the action to a small set of islands you really get to know them intimately. The mechanical Dwemer constructs make their first appearance in Redguard, paving the way for many of the future instalments! This is also the only game to feature a Sload, so enjoy that – a famous Sload too, N’Gasta! (Morrowind fans will know that name). One of the big criticisms of Daggerfall was that the world was too samey, that there wasn’t anything ‘special’ about the towns or dungeons, outside of a few. Morrowind took the series back and started over in a way, keeping the scale much smaller than the previous entries and confining the game to the island of Vvardenfell, it’s an entirely crafted experience, with every rock, tree, and cave being set in place. Vvardenfell is a strange place, host to unusual flora and fauna (giant mushrooms anyone?) and it harbours a dark secret in under the Red Mountain volcano that lurks at its centre. It’s this world, along with the ambiguous message and freedom of actions in-game, that mean that even now, 15 years later (oh god it’s not really 15 years old is it) Morrowind remains a favourite amongst Elder Scrolls fans. The expansions, Tribunal and Bloodmoon, take you on a political and religious dive into Morrowind’s capital city and a werewolf filled romp through the Norse-inspired island of Solstheim respectively. The combat takes a while to get used to and the start of the game is unforgiving, but if you like The Elder Scrolls as a series, want something unusual, or are planning on checking out the next expansion to The Elder Scrolls Online, then Morrowind is definitely worth checking out. These three games are the true missing link in the Elder Scrolls universe, released on mobile and pre-iPhone, during a time when everyone was squinting at tiny screens above keypads, if you’ve played these games then let us know in the comments below, cos none of us have! Similar to the older Elder Scrolls games, they offered a simplified Elder Scrolls experience but with a bit of co-op thrown into the mix. They also released on N-Gage, making them truly hard to get these days! The next main game in The Elder Scrolls series, this takes you back to Cyrodil, a region unvisited in the series since Arena. Let out of your cell by an imperious Patrick Stewart, you head out into the open world to make your name, and defend the land from the invasion by Mehrunes Dagon (yes, him again) who’s leading his Daedric army into Tamriel to have a bit of a fight. In many ways, this fixed some of the flaws fans found in the previous games, making the towns full of life, having combat that wasn’t decided by invisible dice rolls, and by introducing some absolutely wonderful and interesting things to do for the Dark Brotherhood and Thieves Guild questlines. The Dark Brotherhood questline in particular is still held up as an example of How To Do It, with a highlight being the mansion of murder quest. Knights of the Nine and The Shivering Isles saw you recruit a knightly order to defend the world against a resurrected evil from the past, and explore a dimension devoted to Sheogorath, the Shivering Isles themselves. 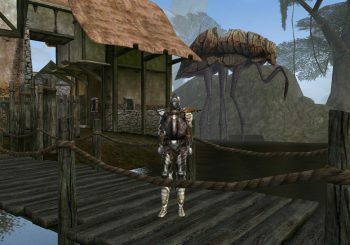 It’s felt that The Shivering Isles was a response to some disappointment that the world of Oblivion was much more mundane than Morrrowind’s, with the islands featuring bizarre architecture, NPCs, and flora aplenty. It also featured much facetime with Sheogorath, always a winner. Oblivion has some flaws, but it’s a gem nonetheless. Check it out here! Spawner of a million arrows to the knee memes, Skyrim saw the main series take a timejump by 200 years, and take a leap into the Nordic Skyrim region, a region filled with war, with political intrigue, and with DRAGONS. The empire has collapsed a little and civil war is festering all across Skyrim, which isn’t helped by the sudden re-appearance of dragons and you, the Dovahkiin. Skyrim’s an absolutely beautiful place to visit, with misty mountain peaks, mysterious fir forests and a frozen North that would put Shackleton to fleeing. With it being expanded by Dawnguard, Hearthfire, and Dragonborn, you get to join either a vampire hunting faction or the vampires themselves, build yourself a lovely house, and visit Solstheim again and see what’s happened to Vvardenfell in the last 200 years (spoiler: nothing good). Skyrim also got an updated re-release in 2016. featuring new and improved visuals! It happened, Bethesda dipped a toe into MMOs! Taking place long before any of the other Elder Scrolls games, ESO takes place over most of Tamriel, with war again brewing and a daedric invasion causing a ruckus throughout the land. Join a faction and make your name on the world, this time with your friends! Or against your friends, it’s up to you! 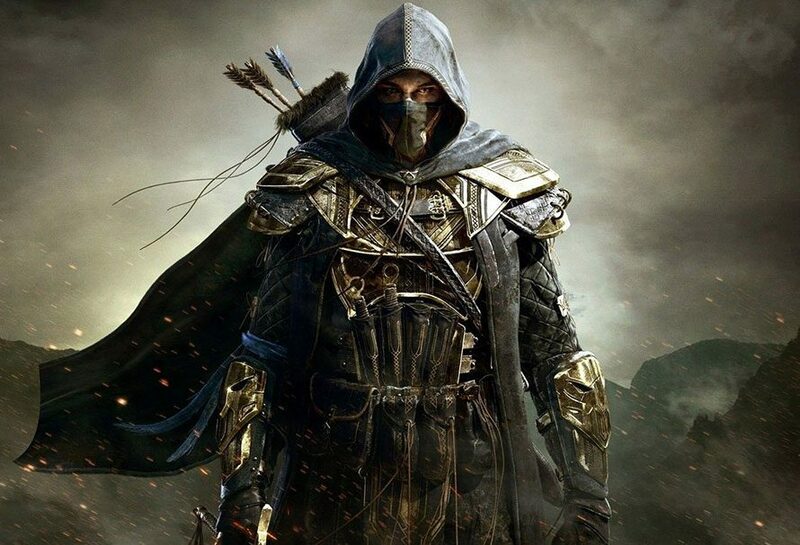 The Elder Scrolls Online received a retooled version that ditched the subscription fee with Tamriel Unlimited in 2015, so the game is now even easier to dip into and try! The first full expansion for the game, Morrowind, is coming out in 2017 and features a return to Vvardenfell, but 800 years before The Elder Scrolls III, so see your old pals like Vivec and the rest of the Tribunal in their prime! It’s coming out soon, and now’s a good time to jump in! Bethesda aren’t afraid to try different things with their properties, and so in 2017 The Elder Scrolls series has taken a twist with a collectible card game! One of the few card games to include a storyline, you can also face off against opponents and your friends in 1v1 card battles. With the introduction of lanes and with placement being a factor when choosing where to put your cards, Legends is definitely an interesting turn for the collectible card game. The Elder Scrolls: Legends is free to play! So there you have them, all the Elder Scrolls games. Have you played them all, or do you have any fond memories of them? Let us know in the comments below!